Minister of Antiquities, Dr Mamdouh El Damaty opened the Valley of the Kings for the first time in history at night for visitors. 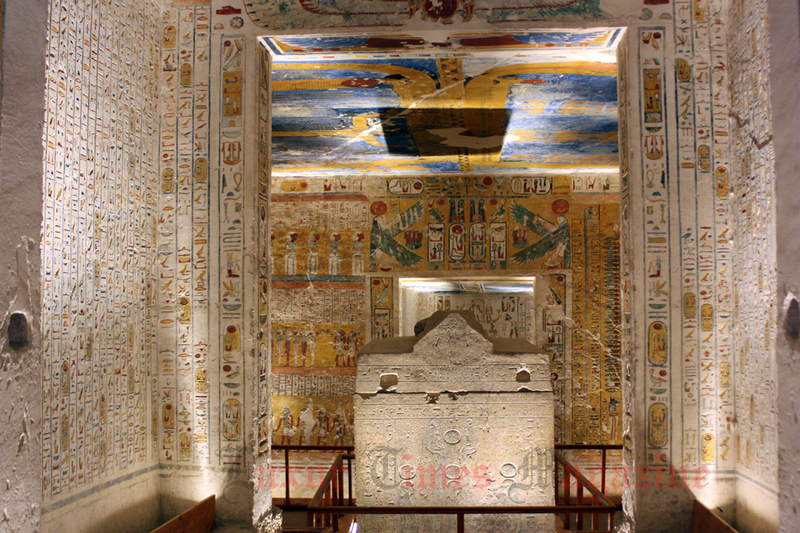 The great Pharaohs ‘ burials were sure visited at night in the past 35 centuries but mainly in ancient time by tomb robbers, this time the visit will be possible for public till 9pm. 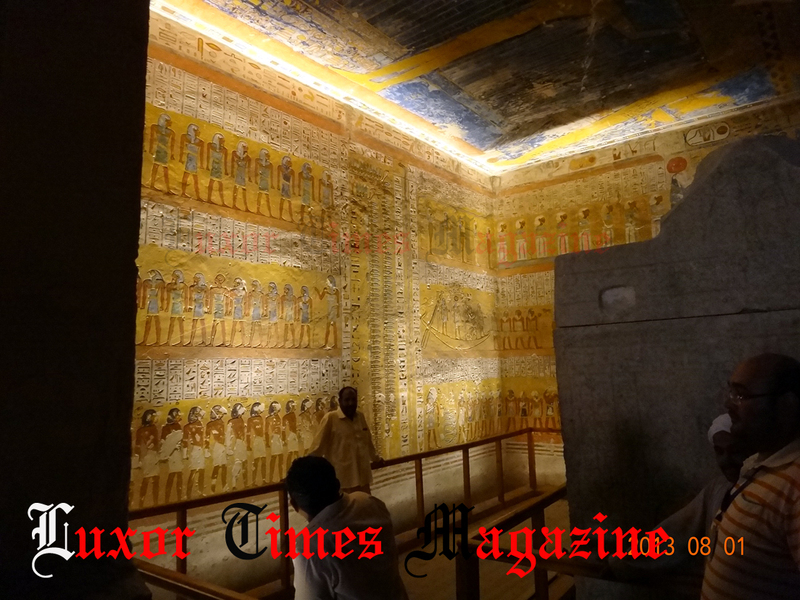 The tombs which are equipped by the new lighting system provided by “DEFEX”, a specialised company, through a Spanish loan of 6 million Euros, are KV2 (tomb of Ramses IV), KV9 (tomb of Ramses V and Ramses VI) and KV17 (tomb of Seti I) beside the tombs will be open at night too also include tombs of Ramses III, Ramses IV and TutAnkhAmon tomb too. The last person who had enjoyed this magical atmosphere at night in the Valley of the Kings could be Sgt. Richard Adamson, as he claimed that he was guarding KV62, the tomb of King Tutankhamon since the discovery in 1922 and for several years afterwards playing opera records of an old gramophone at night but this is another story. Now, visitors to Luxor have an amazing chance to enjoy those masterpieces of ancient Egyptian art at night even during the summer, no more hot days if you can visit at night. The sites which will be open till 9pm in Luxor include Luxor Temple, Ramesseum temple and Valley of the Kings and Hatshepsut temple. Later Habu temple and Seti I temple will be added to the list soon when the new lighting system is completely installed and tested. When do I get to go see this?